If travelling to Mussoorie is on the cards for you this summer, we must say, you’ve made an excellent choice! With an old world charm, cliff-side walkways, cable cars and a lovely street filled with locally owned stores and eateries, Mussoorie is a great place to unwind away from the heat. And when you’re not at Cambridge Book Depot or going on a mad hunt to find Ruskin Bond’s bungalow, you can head to Gun Hill in a cable car for a stunning view of snow-capped mountains. 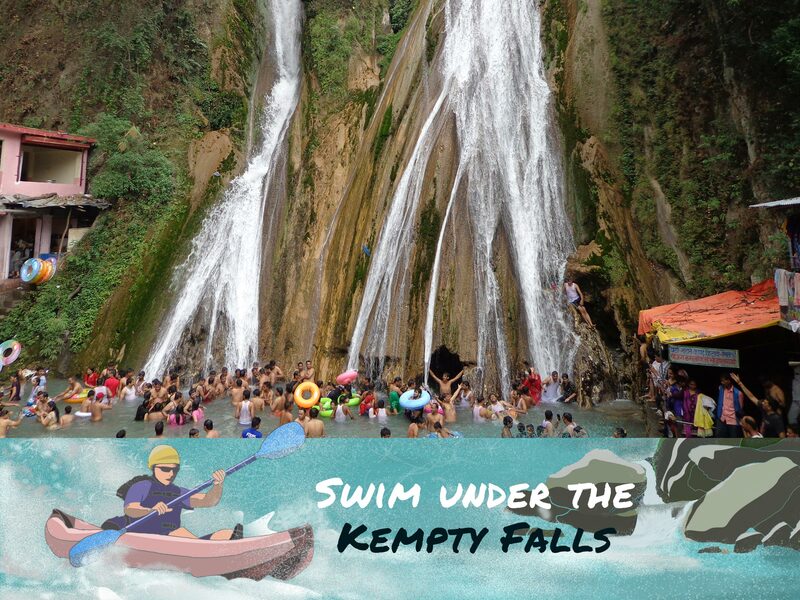 But one of our favourite spots to head to when we visit Mussoorie is Kempty Falls, about 15km from the hill station. Given the sheer number of tourists who visit the falls throughout the year, we’d go as far as to say that Kempty is a natural water park. The base of the falls make for a great picnic spot, and a nice place to go for a swim. Take a cab from Dehradun to Kempty, or take your already booked cab to Kempty from Mussoorie.